All swatches are with base and top coats. I found a couple drugstore dupes as well, Essence Cosmetics “Chic Reloaded” & Sally Hansens’ Black Tie (Diamond Strength line). 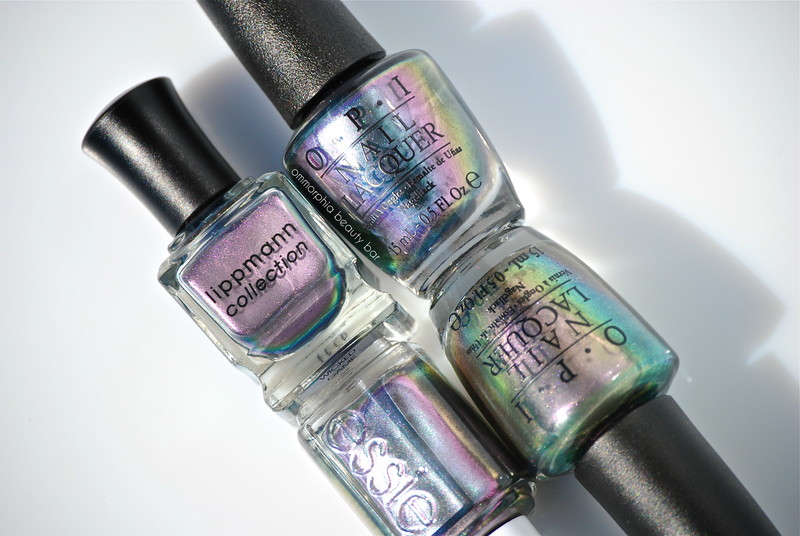 In fact, all of these remind me of the Sally Hansen Nail Prisms from wayyy back in the day. Thanks so much! I actually have the essence you mentioned and I realized after the fact, that there’s also a Butter London which could have been added to the list, but it’s done now! I only have Wicked Game, so it was very interesting to see your comparison! Great post! 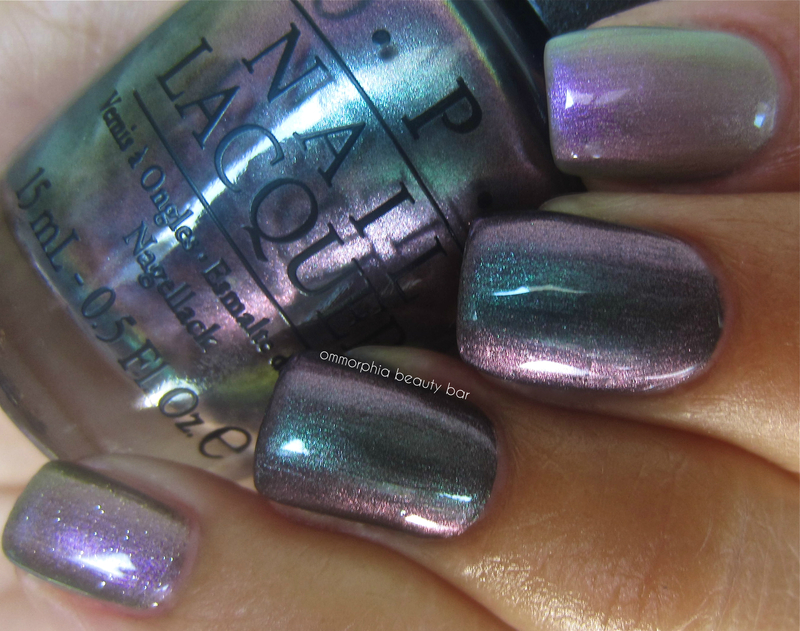 I love seeing comparisons of similar polishes like this. By the way, I think Zoya Ki might also be comparable to these. Thanks! Unfortunately, I don’t own the Zoya polish you mentioned, so I couldn’t say! Gorgeous swatches as always…but this time, I was especially struck by how beautiful the last photo is in terms of color and composition! Stunning!! I am tempted to make this my new desktop wallpaper–is that odd of me, lol? Though I was left cold at ‘Not Like the Movies’ – which I purchased when it came out and promptly gave away – I got a free mini bottle of ‘Peace & Love’ and actually liked it a lot more! 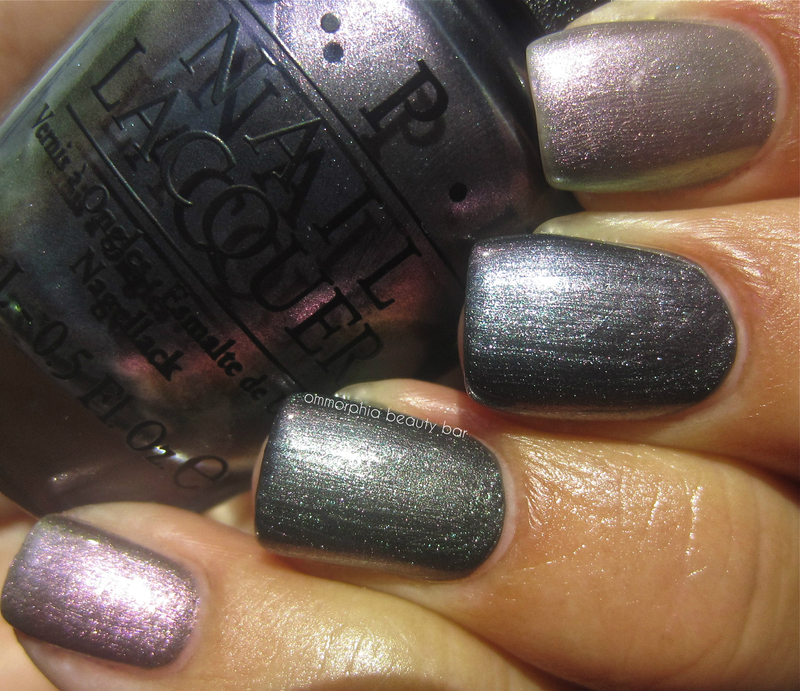 I’m still not fully sold on these hues on my nails with my skintone, but I gotta admit – they are cool to look at! Personally, I don’t like complicated shades on my fingernails when my skin is tanned this dark, but I do love them as pedi shades! Maybe that might work for you too! Great comparisons! I prefer the OPI brand for the brush, so I chose it over the Essie. 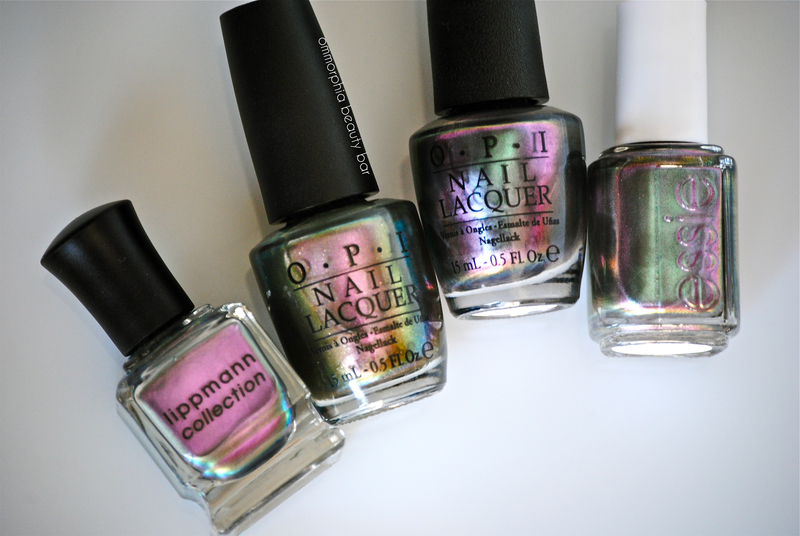 I also own OPI Not Like the Movies, but they’re just different enough to constitute owning both! 😉 Thanks for the swatches Eugenia! My pleasure, Katelyn! Which brush is definitely a matter of personal preference and size of the nail bed….glad you can benefit from OPI’s Pro-Wide brush! It’s gorgeous….you won’t regret picking it up! Great comparisons! 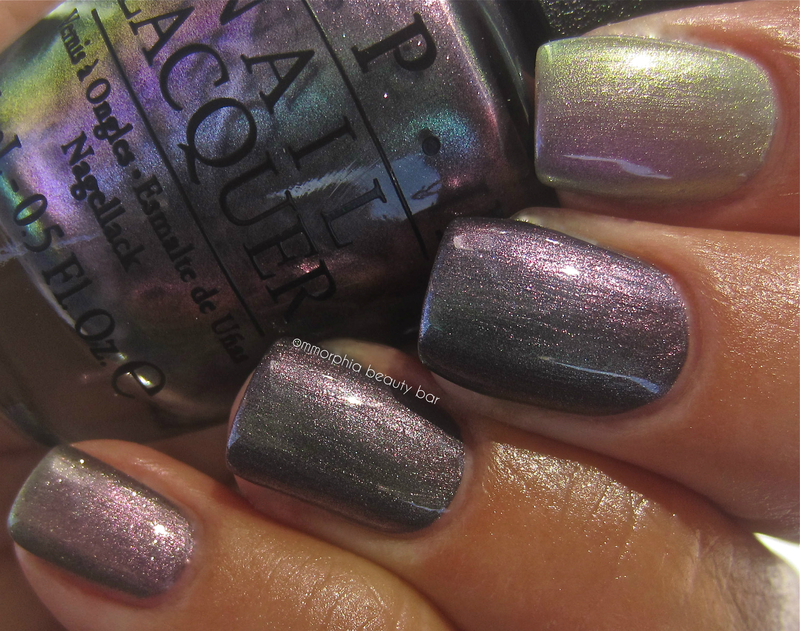 A friend picked up Peace & Love & OPI for me but I seemed to have misplaced it; I felt so bad about buying it again, I bought For the Twill of it Instead (hoping, of course, that I find the OPI and was not left with a double). While they’re similar, I’m glad the formula is different enough to warrant me owning both. 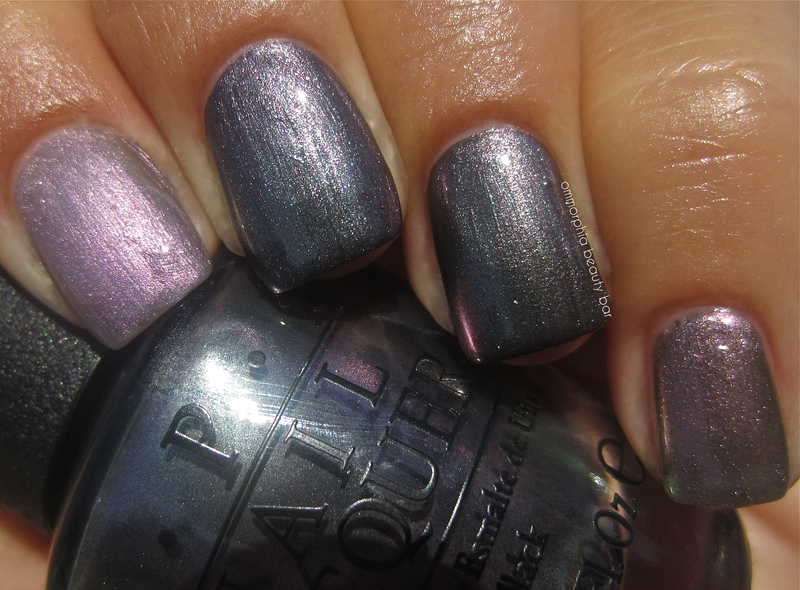 I am seeming to recall that OPI Not Like The Movies was the one that there were only a very few that came out in the first batch that really had the duochrome in it – all those released after when the collection was so popular OPI did have to do new batches to meet all the orders they had – the next ones released were only silver gray. 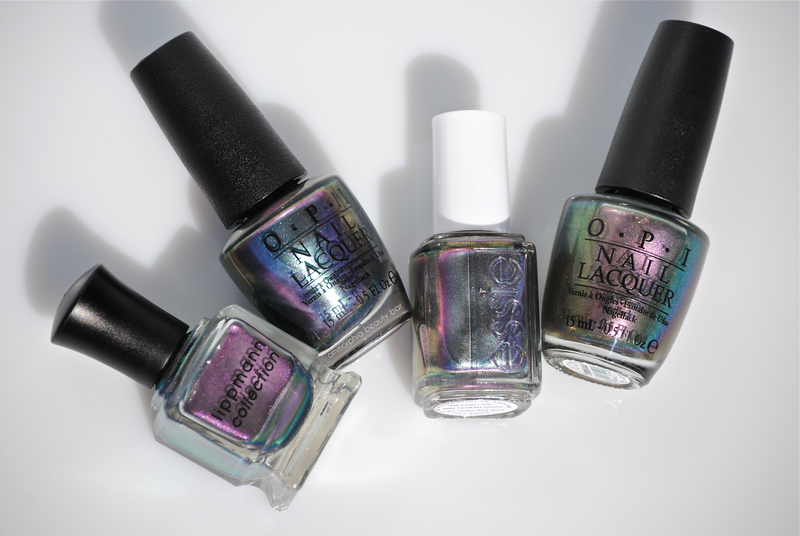 I picked up the new OPI but it’s really thin so many I will get the Essie just to see – I am one of those that loves this finish. I had no idea that this had occurred; glad mine is the duo chrome version, then! I love this finish as well….thankfully I don’t have to decide which to get, lol!